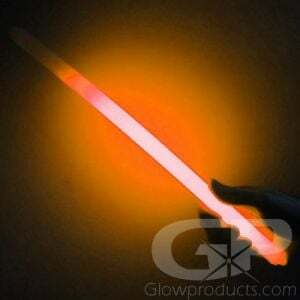 - 12" Large Glow Stick - A Full Foot of Glow! - Comes with a Removeable Cap with Elastic Loop! 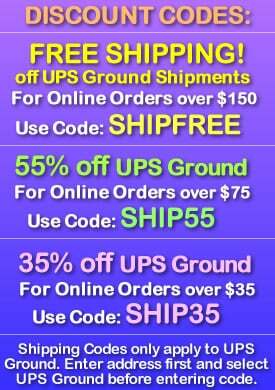 - Safety Kits! Glow Parties! Night Sports Markers! 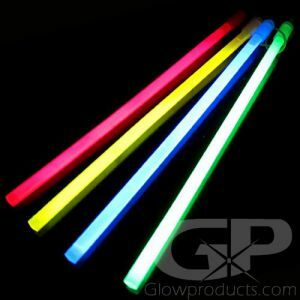 12 Inch Glow Sticks are great for everything from emergency signal lights to brightening up the glow party! Each 12 Inch Glow Stick comes with a removable plastic cap with an attached elastic band, so you can hang it, loop it around your wrist or attach it to just about anything! 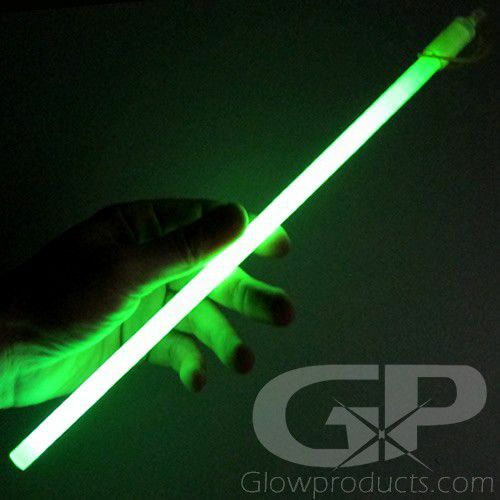 Use the bright 12 Inch Glow Stick for lighting up center pieces at banquets, as glowing party decorations, auction wands, at parades or for safety/emergency lighting and even for traffic control. 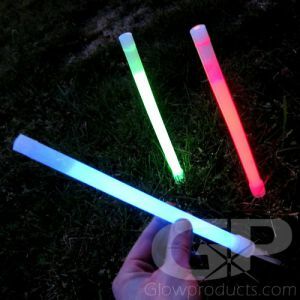 The 12 inch light sticks are also popular items in glow golf tournaments, used to light up flag poles so you can see your target. 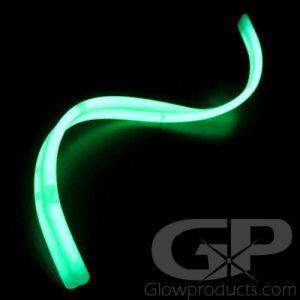 The 12 Inch Glow Sticks have a glow duration of approximately 10-12 hours, are 100% waterproof and come individually wrapped. The 12" glow stick equals a whole foot of fun! Instructions: Bend the Glow Stick enough to crack the internal capsules and shake to mix the glow effect. 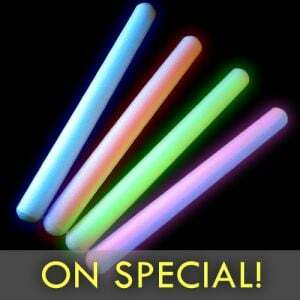 12 Inch Glow Sticks come with a removable cap and are waterproof, non-heat producing and non-sparking.